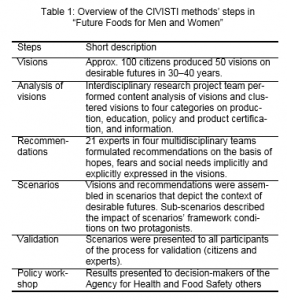 This activity was conducted as part of the EU FP7 CIVISTI project (Citizen Visions on Science, Technology and Innovation) funded through FP7 under the Social Sciences and Humanities theme. The project aimed to develop and pilot a cost-effective mechanism for involving citizens in the formulation of European science, technology and research policy. 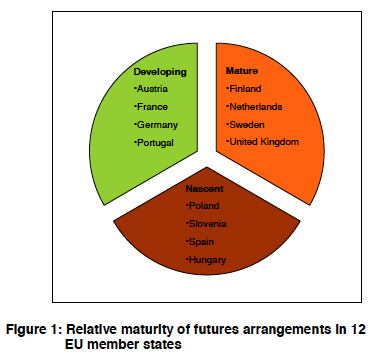 A number of new and emerging issues for European S&T were identified, leading to the development of a set of recommendations for future European framework programmes. 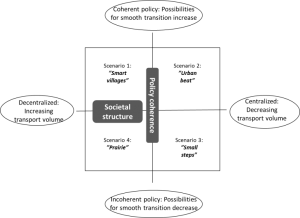 The development of scientific and research policy at EU level already incorporates a system of extensive consultation with the member states. However, such consultation is generally limited to key stakeholders, such as industry representatives and the scientific community, and is rarely extended to the general public. 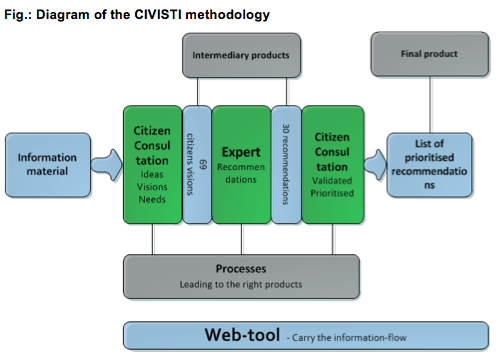 The CIVISTI project is based on the idea that the process of defining relevant research agendas could benefit in many respects from consultation with ordinary citizens. With the right facilitating methods, the concerns and aspirations of ordinary citizens can be developed as supplementary input to the existing consultation process. Such an approach will deepen the process of European democracy by supporting inclusiveness and increased transparency. 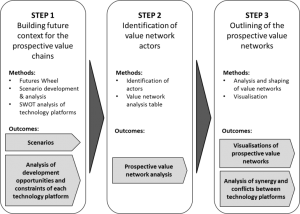 Most forward-looking activities traditionally source their input from those involved in technological development and research disciplines (the supply side). CIVISTI is unique in taking as its starting point the ultimate beneficiaries of any technological development – the general public (the demand side). A first citizen consultation where ordinary citizens are asked to develop their visions of desirable futures. An expert-stakeholder workshop where scientific experts review the visions put forward by the citizens and develop them into policy recommendations. A second citizen consultation where the recommendations are presented to the citizens for endorsement and prioritisation. The process got underway with a consultation session in each of the seven CIVISTI partner countries where ordinary citizens were asked to formulate visions of desirable futures based on their concerns and aspirations. Seven citizen panels each consisting of approximately 25 citizens were established, with participants carefully selected to ensure a broad representation of gender, age, educational level and occupation. The seven workshops were all held within a month’s time. For inspiration and common knowledge-building on future visions and EC science policy, the project team prepared appropriate guidance material and distributed it to the participating individuals beforehand. Each consultation session took the form of a two-day structured workshop led by a facilitator. The participants were encouraged to articulate and develop approximately 25 visions, which were then documented according to a predefined format. Each workshop concluded with a voting session with the objective of identifying the nine or ten most important visions prepared by the group. This resulted in a total of 69 visions for the seven participating countries. 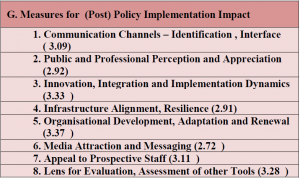 In the second phase of the process, a small group of experts and stakeholders were brought together to process the citizens’ visions and transform them into research agendas and policy options for European research. 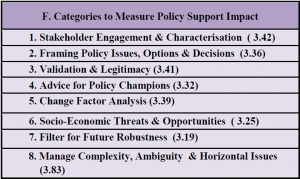 The framework for extracting new science and technology policy options from citizen visions was inspired by Kingdon’s streams model of policy agenda setting, which is a widely applied approach in policy analysis. On the first day of the workshop, the experts were divided into six groups of three, with each group being facilitated by a member of the CIVISTI team. The visions from all participating countries were pooled and distributed for analysis among the six teams. Each team was requested to discuss six related topics according to their field of expertise, with each topic incorporating between one and three visions. The experts endeavoured to transform the visions into concrete recommendations, taking care to maintain a clear link between the original vision and the recommendation. This process resulted in the generation of more than 100 recommendations. On the second day of the workshop, the experts selected the 30 top recommendations on the basis of novelty, importance and timeliness in an open-space process. 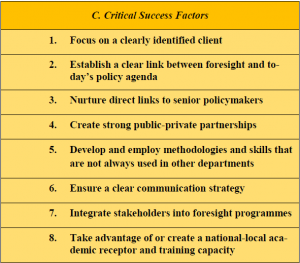 The experts refined the recommendations and sought to formulate them in a manner that could be understood by both ordinary citizens and policymakers. Faithfulness: the degree to which the recommendation reflects the idea of the original vision. Effectiveness: the extent to which the recommendation would help to achieve the desired vision. Desirability: the extent to which the recommendation represented a desirable action. Despite its success, the CIVISTI project encountered a number of challenges, which are highlighted to point the way to a more streamlined approach in future exercises. Engagement of citizens: despite efforts to keep citizens engaged between the first and second consultations, the project experienced a considerable dropout rate. This was probably due to the length of time that elapsed between the two sessions, arising from the fact that the methodology was still under development and constituted a major component of the project. Reducing the time lag between the first and second citizen consultations should overcome this problem. Drafting of recommendations: great care must be taken during the review exercise, where the experts transform the citizens’ visions into policy recommendations, to ensure that such recommendations are faithful to the original vision. During the second consultation session, these recommendations are referred back to the citizens, who expect to find a clear link between the two. Consolidated ranking: there was extensive discussion on how to combine the seven country results into a single ranked list of recommendations. Should each participating country be allocated an even number of votes, or should there be a weighting in proportion to the country population? In the case of CIVISTI, it was found that this was not an issue and the final results were very similar using both methods. The first consultation exercise resulted in a total of 69 visions, characterised by their breadth and interdisciplinarity. The visions spanned a broad range of topics, covering scientific, technical and social subjects, and addressing both present as well as future perspectives. 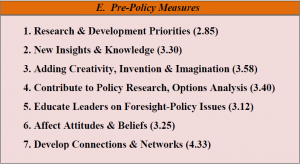 Several of the visions addressed similar topics, and the following analysis revealed that they related to a total of 37 distinct topics. However, the range of topics is not as broad as that of FP7, with certain areas being notably absent, such as nuclear power, nanotechnology, and production technologies. As might be expected, many of the recommendations were oriented towards matters that citizens encounter in their everyday life or are based on their personal experiences. Most of the topics have a strong social focus as opposed to a natural science or technological one. 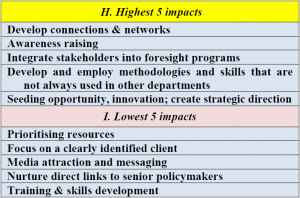 The top ten recommendations emerging from the CIVISTI project are detailed below. A number of these recommendations are already the subject of research in FP7 and little additional action is called for in their regard. This is in itself a meaningful result indicating citizen support for the work currently in progress under the framework programme. Other recommendations, however, are not being addressed to the desired extent and appropriate remarks are made for possible action. Promote technical and social innovations that can enhance people’s access to and use of public transportation. 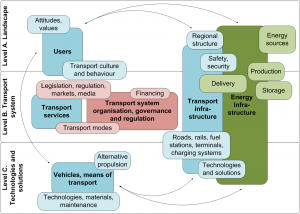 Most aspects of public transport are already well addressed in FP7 with specific mention in the Transport work programme, and numerous relevant projects have been funded through the framework programme. However, the CIVISTI results are a strong indication that the progress achieved so far, although noteworthy, still falls short of what is desired by the public. It is therefore proposed to submit this as a topic for Mobilisation and Mutual Learning Action Plans for future Science in Society (SIS) work programmes. 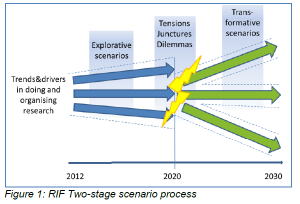 Foresight and research to explore sustainable options of decentralised energy production systems and the resolution of energy related conflicts. This topic is already the focus of considerable attention and extensive research by the EU, and it is believed that no additional action is called for in this area. Citizens emphasise the long-term perspective of this initiative. Go and re-appropriate the countryside! The CIVISTI consultations highlighted a public desire to establish attractive contemporary life in the countryside. It is proposed that this theme should be investigated and developed further through an activity funded through the Socio-economic Sciences and Humanities (SSH) work programme. This recommendation is already addressed to some extent both by thematic work programmes and especially by the Ambient Assisted Living joint programme. However, it may be useful to promote greater interaction between research organisations, carers and civil society organisations working with people with special needs in an action along the lines of the Mobilisation and Mutual Learning Action Plans as seen in recent SIS work programmes. 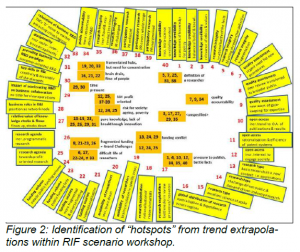 Optimisation of urban space: towards dense European eco-cities. The Environment work programme does include an action line dedicated to urban development. However, very little research has been funded in this area. The CIVISTI results express a strong desire by citizens for concerted action through long-term research and pilot projects with the objective of creating a blueprint for European eco-cities with sustainable waste management, transportation, urban space use and energy usage. Such action should be based on significant input from the public. Social innovations for aging societies are needed. Research should be undertaken to identify issues and possible solutions relating to the sudden transition from full-time employment to retirement. It is proposed to submit this topic for possible inclusion in a future SSH work programme. Increase direct democracy through e-voting. Citizens expressed a keen desire to participate more regularly in national and possibly supranational decision-making. Traditional referenda are very expensive and time-consuming, and are rarely contemplated. Technology for e-voting (direct recording electronic voting) is already in existence, but there exist issues of security, audit and transparency. Moreover, the cost of holding a referendum using e-voting is still too high to allow regular use. Further research is needed to improve security and bring down costs. The topic should be put forward for possible inclusion in a future Information and Communication Technology work programme. Develop effective urban infrastructures supporting a multigenerational lifestyle. This recommendation revolves around the use of communication and mobile technologies to support multigenerational families through urban design and infrastructural development that provides a friendly environment for large families and their changing needs during familial life cycles. It is proposed to investigate this theme further in an activity funded through the SSH work programme. Humanistic research to explore what dignity during the dying process means to contemporary Europeans. It is believed that this subject has not previously been specifically addressed in the framework programme. It may be proposed as a topic for possible inclusion in a future SSH work programme. Select or develop plans and techniques for areas with extreme climate conditions. This topic has already been addressed to some extent through the projects funded under the FP7 Knowledge Based Bio-Economy (KBBE) work programme. However, activity in this area is rather limited and it is proposed to submit this recommendation to be considered for inclusion in a future Food, Agriculture and Fisheries, and Biotechnology (FAFB) work programme. Decker, M. & Ladakis, M. (eds.) (2004): Bridges between Science, Society and Policy; Technology Assessment – Methods and Impacts, Berlin: Springer Verlag. Joss, S. & S. Bellucci, (eds.) (2002): Participatory Technology Assessment. European Perspective. London: Centre for Study of Democracy. Kingdon, J. (1984): Agendas, alternatives, and public policies. Boston: Little, Brown and Company. Masini, E.B. (1994): Why Futures Studies? London: Grey Seal Books.